Over at Bloomberg, Virginia Postrel writes about a grand jury subpoena issued to unmask the identities of anonymous commenters at libertarian publication Reason. Specifically, they want IP addresses, which can reveal a person’s geographical location and more. 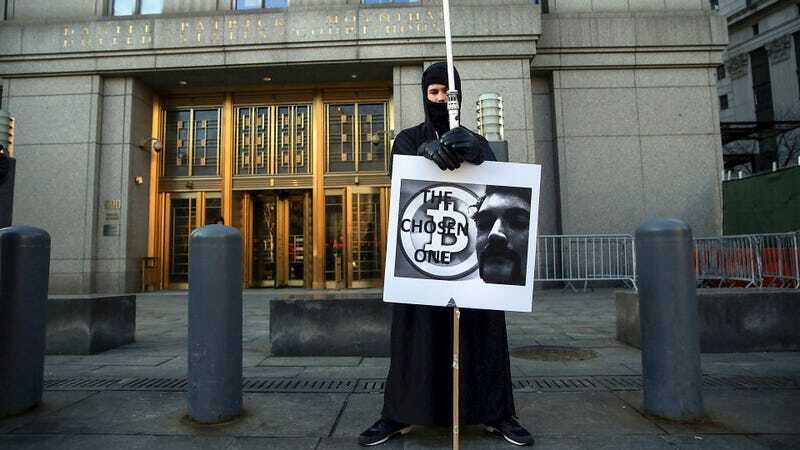 Basically, the court wants any information they can get on these anonymous commenters, who were expressing anger over Silk Road mastermind Ross Ulbricht’s sentencing. Most of the court’s requests could turn up garbage, if these commenters acted like the libertarians they are and refused to give their real names or hand over bank information. But it’s harder to mask your IP address — especially if Reason (like many companies with customers) has been tracking and storing IP addresses. Reason doesn’t have to track IP addresses, and let’s hope they didn’t. Here at Gizmodo — indeed, at all the sites owned by Gawker Media — it’s our policy not to log your IP address when you visit our sites or make a comment. As long as you use a burner account, nobody will ever know who you are or where you come from. If you log in with Google or Facebook ... we still don’t have your data, but we can’t control what those companies do with it. But what I can say with certainty is that if we received this subpoena tomorrow, demanding that we hand over personally-identifying information about you because you went into comments and spilled some corporate secrets about Apple — well, we couldn’t. Our technical systems team couldn’t. We don’t log that data, period. And we chose to set up our commenting system that way because we want to protect your right to speak freely and anonymously. No one in their right mind would take this hyperbolic venting seriously as threatening Judge Forrest, who back in the fall had personal information published on an underground site, along with talk of stealing her identity or calling in tips to send SWAT teams to her house. The Reason commenters, by contrast, included nothing so specific. And now these commenters’ real identities are going to be revealed in court. Maybe you think what they said was ugly and horrific, or maybe you think they were just venting. Either way, do they deserve to have their real names revealed — and be subjected to possible legal prosecution — for being idiots in the comments on Reason? That’s up for debate. And no matter what you say about that debate in the comments, we’ll keep your identity anonymous.